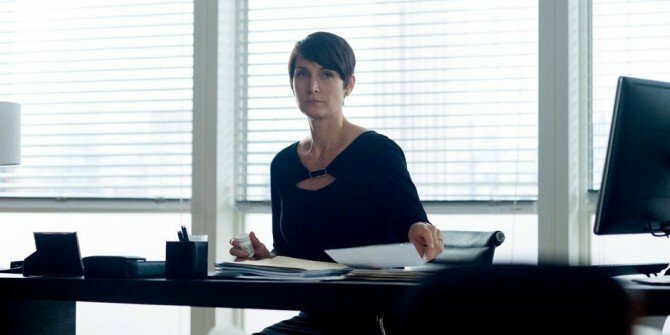 Marvel and Netflix have added a familiar face to the cast of Iron Fist today, as Jessica Jones star Carrie-Anne Moss will be reprising her role of Jeri Hogarth. This isn’t terribly surprising, given that she also showed up in Daredevil‘s second season, but it’s still exciting news as it’s yet another connection between the shows that fans can look forward to seeing. Not much is known about how Hogarth will factor into the plot, but apparently she’ll be helping out Danny Rand, aka Iron Fist when he returns to New York. Moss will join a cast that already includes Finn Jones as the titular hero, Jessica Henwick as Colleen Wing, David Wenham as Harold Meachum, Jessica Stroup as Joy Meachum and Tom Pelphrey as Ward Meachum. Production is currently underway on the show but unfortunately, we don’t have a premiere date just yet. With everything coming together rather quickly though, expect to hear more soon. In the meantime, tell us, what are you hoping to see Marvel and Netflix do with Iron Fist? How do you think they can make it a success? Sound off below and let us know.